That rotting, gibbering mass of bandages is your friend and mine, the ghoul. Ghouls are, in many ways, a death knight’s best friend. Any death knight can summon one ghoul; any max-level death knight can summon an army of them. Some death knights even love theirs so much that they convince them to stick around. Fascinating, yes? Well, Raise Dead has a secondary effect (soon to be separated into Raise Ally). 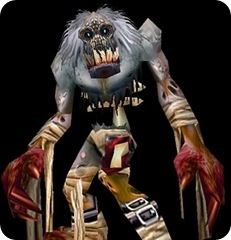 In addition to raising the death knight’s best undead pal from a body (or, sometimes, nowhere at all), it can also raise a party or raid member! A lot of the time, this’ll happen by accident - a DK will be attempting to retrieve the NPC ghoul and instead will raise, well, you. Soon if it happens, it’ll be on purpose. If this happens during, say, a boss fight? Don’t stand there like a ninny, go hit the boss! All DPS is good DPS - smack the boss around a little (from behind, please - your tank will thank you later). Not sure how to perform to your ghoulish best? Luckily for you, here’s a short guide.